Craftiness usually slows down in the summer as everyone gets distracted by Walden Pond and homegrown tomatoes and generally getting out of the house. But all this sun doesn't seem to have slowed the CMQG down! 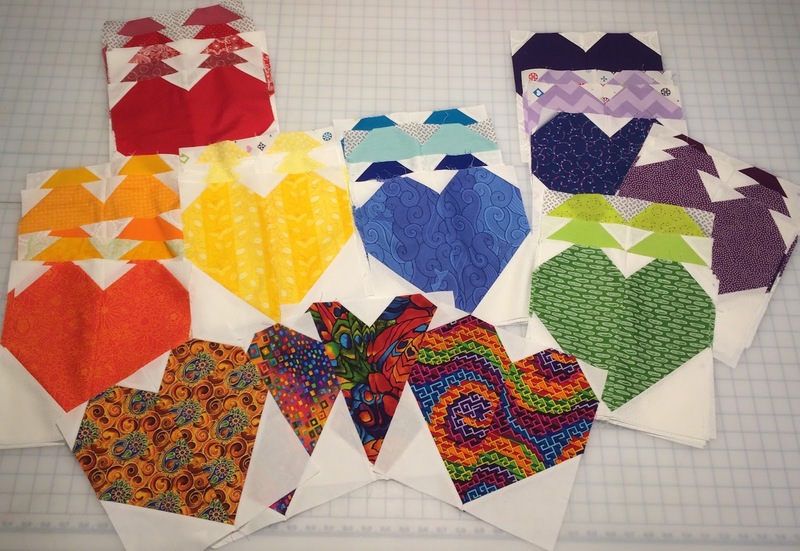 Many of you channeled your feelings about the shooting at Pulse into heart blocks to help the Orlando MQG in their endeavor to make quilt tops for friends, families, victims and first responders. 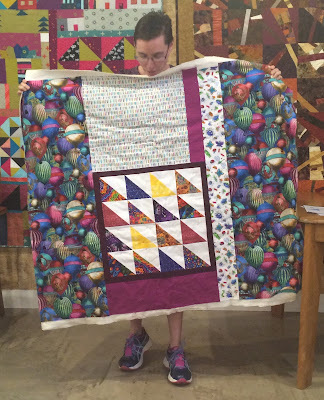 We collected 60 blocks at our June meeting and are looking forward to meeting up with the Boston MQG on July 16th at the Lexington Community Center to make more and turn them into quilts. Next, there was the Raspberry Block Lottery (won by Dalia - congrats! Can't wait to see that king-size quilt), and the kickoff for our Sheepfold Block Lottery - entries due at the August meeting. 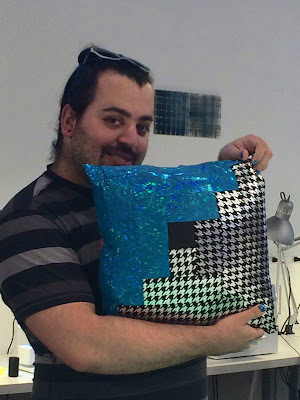 Then T took us through quilting with leather and spandex... and fur. We can't wait to see what you all come up with for Alternative Materials Quilt Challenge now that you know how to quilt with just about anything. 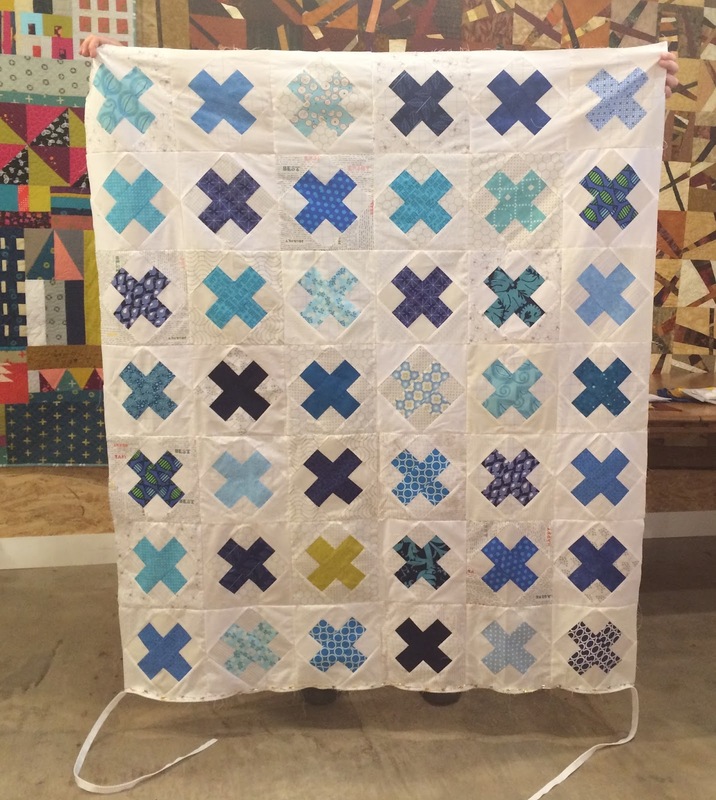 Finally, if you've been eyeing that new long-arm machine at Gather Here, sign up for a training session (they're starting in July) and show us your creation at the next meeting! 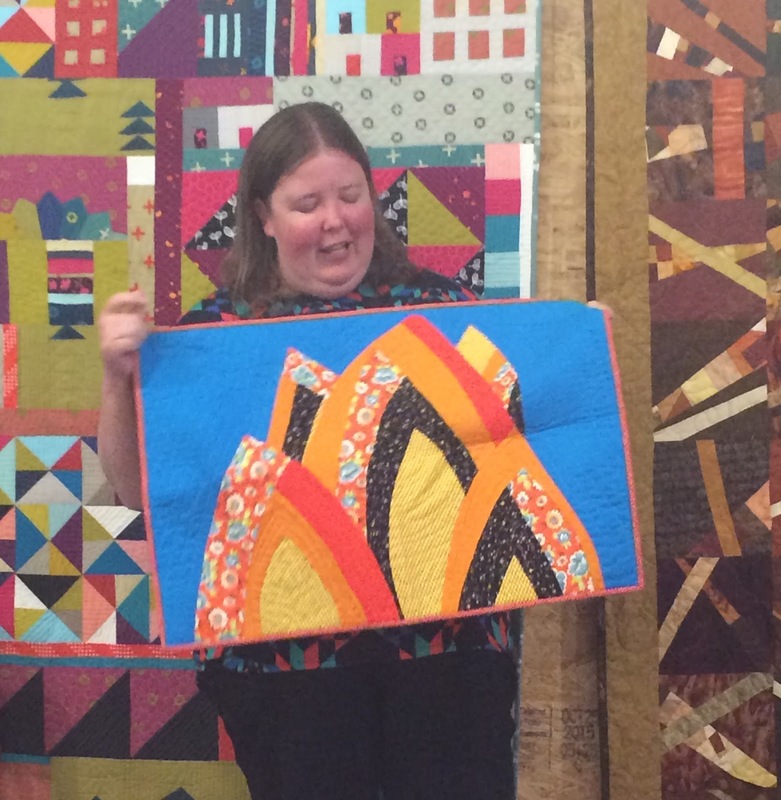 how she designed it, we got a quick tutorial on the making of this quilt! 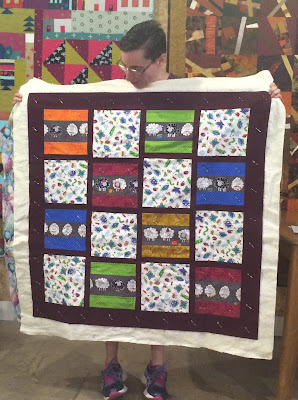 Reva is donating her adorable sheepy quilt to Project Linus. Jane's cool cranes from our last sew in! 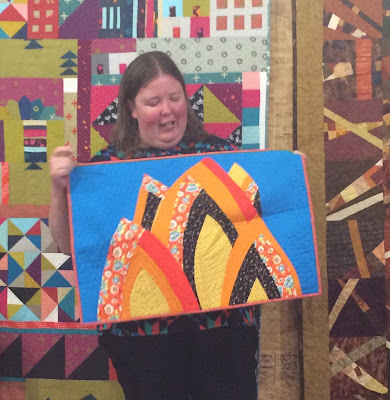 Gretchen's bright and beautiful take on a Sherri Lynn Wood technique. that she made a whole fabulous quilt top! 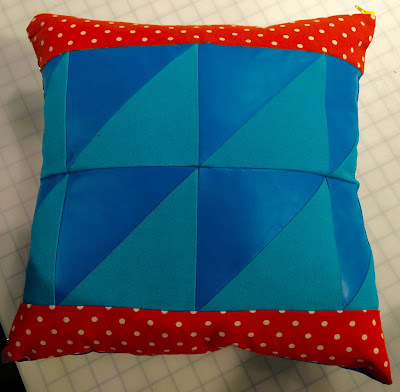 Hope to see you at our next sew-in or meeting - happy summer sewing!